Posted on June 26, 2014, updated August 22, 2017. There can be a lot of pressure on those giving toasts at weddings, rehearsal dinners and parties… and for good reason. 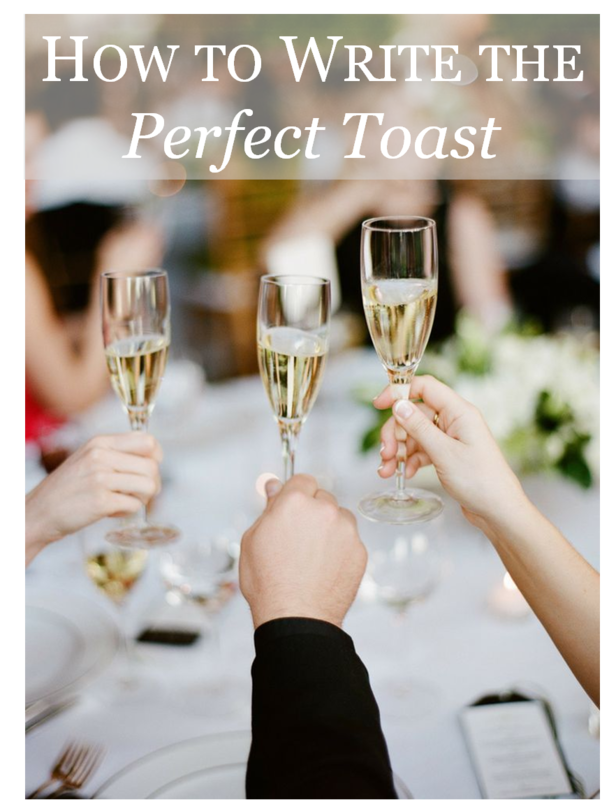 Too long of a toast and it can throw off the party; too boring of a toast and it will tire the guests; and a toast with inappropriate references… well, that could potentially ruin the entire night! Here at The Event Group we have seen it all. We have taken notes on what works, what doesn’t work and what really wows guests. Today we are sharing our tips to ease your nerves as you prepare to toast to the newlyweds! After you obtain everyone’s attention, introduce yourself and how you know the bride or groom. This is where you can lead into the body of your speech. The best lead in to the body of the speech is how you met the bride or groom, but keep it short and sweet. Remember this is about the bride and groom, not you and your friendship with the bride/groom. In closing, you’ll want to wish them a lifetime of happiness. This is another point where a quote, song or advice fits in well. – Start writing early so you have plenty of time to rehearse. – Do not have too many cocktails before you give the speech. You want to be able to stand up straight and speak loudly and clearly. – Keep it brief. Keep the length around 3-5 minutes. – Keep it appropriate. Do not tell stories that embarrass the couple and do not tell inappropriate stories that would make anyone listening feel uncomfortable. If your speech was in a movie, you’d want it to be rated G.
Overall, be confident and you will give a great toast! Cheers!